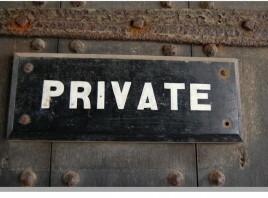 First step, download User Private Files and copy into your plugins folder then active it. Second, create a page which I will just name “My Dashboard”, then paste: [userfiles]. The uploaded files will show on this page. The back-end is intuitive and the admin has options such as file upload for specific user, category assignment, user email notifications and multilingual support. 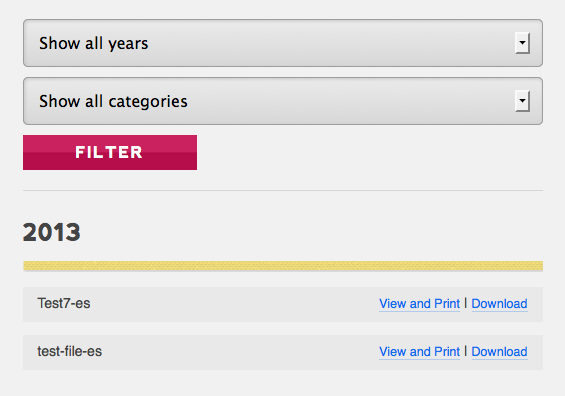 As you can see the plugin can filter the uploaded files by year or by the category assigned. Pretty cool isn’t it? Currently the only allowed files are the PDF’s but that can be easily modified so the admin can upload other files types such as images, documents, zips, html etc. // Setup the array of supported file types. In this case, it's just PDF. This plugin was custom developed for a client project as at the moment I couldn’t find any good plugins that meet these specific requirements. Feel free to use and modify it for your projects.